Find out about the American student community at Southampton, entry requirements for our courses and other information specific to your country. To be considered for a place on one of our undergraduate (bachelors) degrees, we typically require three grades or test scores from a possible combination of AP, SAT-S, SAT-R, ACT, Honors Class or College-level class. We can also consider the Associates Degrees pending the review of relevant classes taken. On all of our course pages you will find the UK A-level and International Baccalaureate requirements. Please use the below equivalencies table to determine the entry criteria for your course. *Please note - most courses requiring Math and Physics within Engineering and Environment or Physical Sciences and Engineering will require an AP Calculus BC and an AP Physics 1. Three AP tests at scores of 555 OR Three SAT subject tests at scores of 720, 700, 700 or a combination of the two. We can also consider excellent grades in Honors or College-level classes or ACT or SAT scores in lieu of AP or SAT subject tests on a case-by-case basis. Three AP tests at scores of 555 OR Three SAT subject tests at scores of 700, 700, 700 or a combination of the two. Three AP tests at scores of 554 OR Three SAT subject tests at scores of 700, 700, 650 or a combination of the two. Three AP tests at scores of 544 OR Three SAT subject tests at scores of 700, 650, 650 or a combination of the two. Three AP tests at scores of 444 OR Three SAT subject tests at scores of 650, 650, 650 or a combination of the two. Applicants who have completed the High School Diploma but do not have the relevant subject tests to apply to one of our Science or Engineering programmes may be eligible to apply to our Foundation programme. Please note that Medicine applicants are required to take the UKCAT test. To apply to the University of Southampton, you will need to submit your application through the UCAS website and use the University of Southampton code: S27. To submit your AP or SAT results, please use our College Board code: 4872. To submit ACT results, please send a scanned copy directly to the admissions team. Applicants can apply here for postgraduate taught and research study. Student from the USA do not need to take an English language test to demonstrate their level of English proficiency. Find out more about our English language requirements and support. 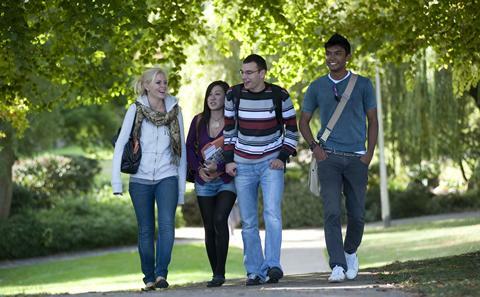 We are pleased to welcome students from the USA to the University each year. We currently have over 100 students from the USA studying with us at the University of Southampton. 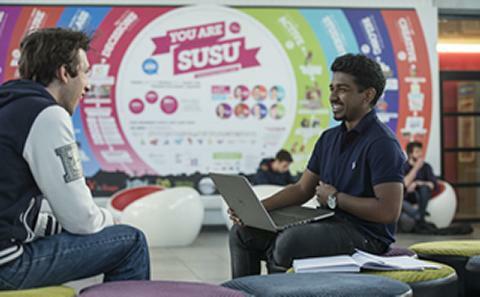 Visit the University of Southampton Students' Union (SUSU) website for more information about clubs and societies or to connect with our North American Society.